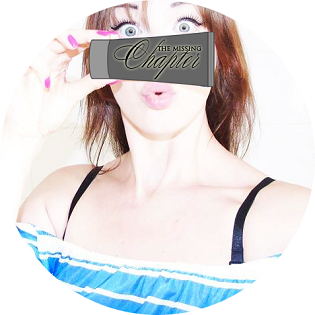 The Missing Chapter - London Lifestyle Blog: Law of attraction - how my story began. Law of attraction - how my story began. I bet some of you still wonder what is this none sense she talks about almost every day in her instastory… I don't blame you as this was my approach towards it up until last year until it changed my life. I see these bloggers, youtubers and successful people talking about 'The Secret', the Law of Attraction and how your thoughts become reality. I mean come on who normal would just believe it without actually giving yourself the chance to learn more about it. After hearing about The Law of Attraction from my partner's Aunt who I am pretty close with and my favourite YouTuber I've decided to give it a go and research few bits here and there. I got roughly half way through the first paragraph and thought - NONESENSE. Immediately I found myself closing the pages, truly convinced this can not be real. Have people lost their mind to really believe your thoughts can become reality? Oops.. They can. They certainly have been all my life. The more I focused on something, eventually it became a r-e-a-l-i-t-y. Coincidence - I would call it back then. The cruel truth is that a lot of times we choose to focus and dwell on negative things such as bills, financial issues, diseases, relationship problems and so on... When getting into a relationship instead of enjoying every moment we often question it. Is he the one? Is he loyal? Why doesn't he ring back straight away? Is he cheating? Those are the thoughts that should be replaced with something along: He loves me. He is loyal. I attract all the good in the world that I deserve.. Everything is fine. The day I have really decided to start learning about and practising Law of Attraction is when I've been told by family doctor that my daughter of 18 months then, was suspected with Lymphoma - blood cancer. Of course she is fine and it was nothing more then a false alarm which took away good 10 years out of my life due to the unbearable stress I went through since hearing the worst diagnosis any parent could possibly hear. Miracles don't happen. Coincidence doesn't exist. We are what we think and believe. The first step I took was... I remember it so well... I bathed Christianna and was putting her down to sleep in her crib. She was been silly, playful and so happy. I broke down crying watching her because what the doctor said kept playing in the back of my mind. I left her room to go to the bathroom. Cried for 5 minutes. Came back into her room and something unexplainable has happened. I suddenly became so peaceful and joyful. The doubts and fear has disappeared. I looked at my daughter and said 'You're such a strong and healthy little girl, you will live a long life and I will always be by your side until I'm very old and wrinkled..'. And this was it. From then on my whole mindset changed. 2 weeks later we picked up her results which were all negative and clear. We was then sent to see a paediatric who only confirmed the good news. 'Thank you Universe!' I shouted out with gratitude. From that day I felt nothing but gratitude for every smallest thing. My life changed from grey to colourful. Everything around me would bring me joy. I've started noticing beauty in things I would of never even acknowledge before. The happiness and gratitude that was fulfilling my soul and body was reflecting on everyone and everything around me. Around that time I sat down with a hot cuppa and stuck on 'The Secret' (Netflix) along with my mum and fiancé. From that day not only have I managed to reassure myself that this is real, but also my partner and mother began to think positive at all times as it really made sense to them too. This documentary has answered all my questions without a doubt. Go ahead and give it a go! The more I practised, the more I meditated, the more I loved myself and everything around me showing the Universe how thankful I am and visualising the things I want to achieve in life the more good Universe would send my way. Unexpectedly the house I have always imagined to live in becomes my house. I will never forget the day and way it happened. I walked into the brand new build property I have seen in my thoughts every day for years, in the area I always wanted to live in, with a school and park for my daughter I have always wished for. I walked through the door and broke down crying... 'This is my home...' How crazy is this? Am I dreaming? Same set out, same wooden doors, same flooring and white kitchen cupboards - just the way I pictured my house to be !! Massive room for my daughter and the cutest little garden ever. I started pinching myself as it seemed way too insane to me. I mean the house that I have been visualising for years - has only just been build. And the first person that it gets offered to is me.
'' We are shaped by our thoughts; we become what we think. We are what we think. All that we are arises with our thoughts.